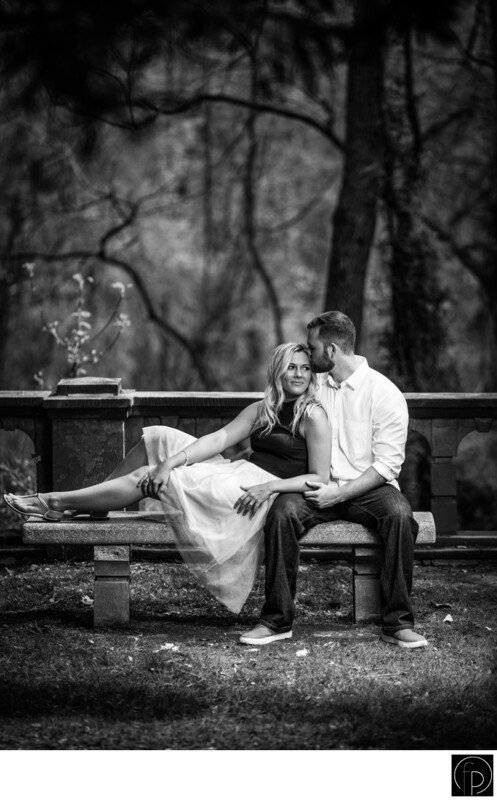 The bride-to-be snuggles up next to her future husband during this sweet moment at Ridley Creek State Park. Ridley Creek State Park, located in Delaware County, Pa, offers the perfect setting for an engagement session or wedding day. Location: 1023 Sycamore Mills Rd, Media, PA 19063.